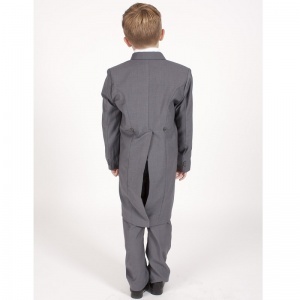 Grey & navy swirl 6 piece slim fit tail jacket suit for baby boys, toddler or older boy, the perfect outfit for any special occasion including a christening, wedding as a pageboy / guest, formal occasion etc. 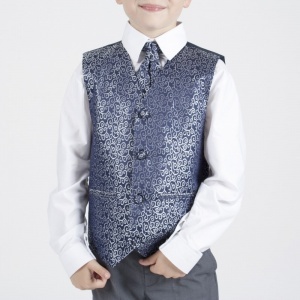 Handkerchief: Matching square navy with silver swirl handkerchief, the perfect accessory to be placed in the jacket breast pocket. 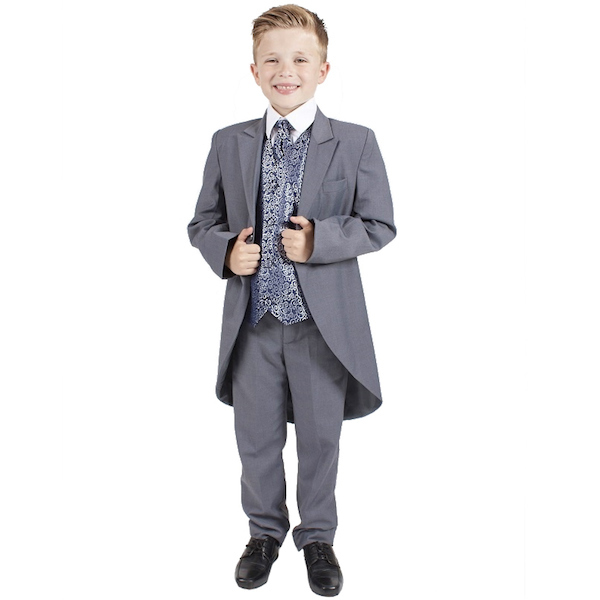 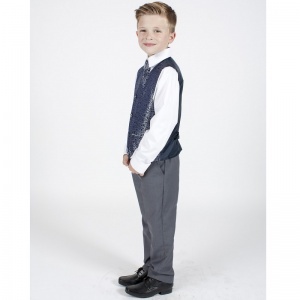 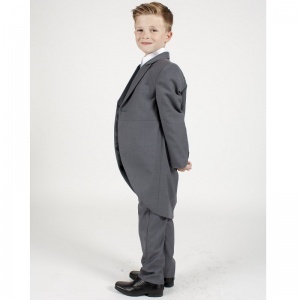 This grey & navy swirl 6 piece slim fit tails outfit will make him look like the perfect handsome gentleman at a christening, wedding as a pageboy / guest or a special occasion.